Say Hello to the hiPhone 5! Do you like how the Apple iPhone looks, but you don’t want to pay the price of a unit? Then China has the perfect alternative for you: the hiPhone 5! China is definitely one of the major players in the world, and has become rather infamous for its copycat products. It was not long ago that we heard of the fake Apple stores in the Asian country. While that fakery is of a different level, this new mobile phone is not totally unrelated. It is true that the mobile phone has been named differently, but it cannot be denied that it has totally been ripped off from the concept of the iPhone. The name hiPhone 5 aside, one look at the back of the mobile phone and you know what it is all about. Aside from the ubiquitous Apple logo, it even has the word iPhone printed on it! And the display is no different. 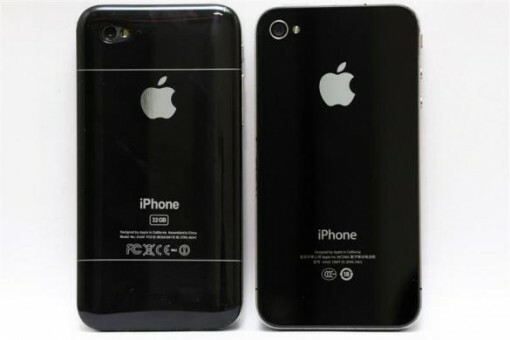 Obviously, the designers of the hiPhone 5 got their inspiration from the upcoming iPhone 5, which has been leaked. 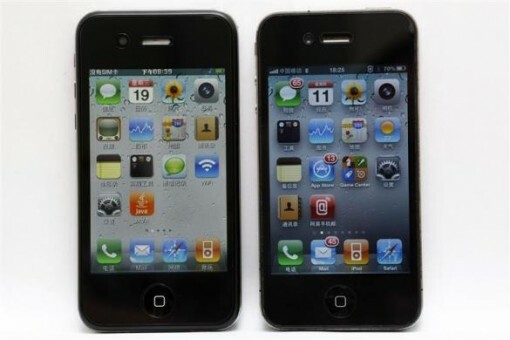 If you take a closer look at the photos above, you will notice the differences between the hiPhone 5 and the current iPhone 4. They might get away with the official name being slightly different, but there is no doubt that violations have been made. The hiPhone 5 is available at Taobao, which is China’s top e-commerce platform. The price? A mere 200 yuan, which translates to $31. For sure, at that low price, there will always be people who will not mind purchasing the phone, copyright infringement aside. Then again, it is said that in spite of the visual similarities, there is no doubt that you get what you pay for when it comes to the hiPhone 5. Just like many other pirated mobile phones (and electronic gadgets), the hiPhone 5 is very light and is clearly made of cheap plastic. If you thought that the iPhone is a delicate device that might not survive the slightest drop, then you will have to be even more careful with the hiPhone 5. Then again, for something really cheap, you can’t really expect much, can you?